Peugeot Rifter Review 2019 | What Car? The Peugeot Rifter is the French firm's MPV with SUV pretensions, designed specifically to dispel the notion that you have to forget about style if you want to combine the passenger-carrying versatility of a traditional people carrier with the load capacity of a small van. A replacement for the popular Partner Tepee, it has a more adventurous and distinctly beefed-up look, aided by a short front overhang, a sharp vertical front end and further rugged styling touches that add an element of SUV desirability to proceedings. 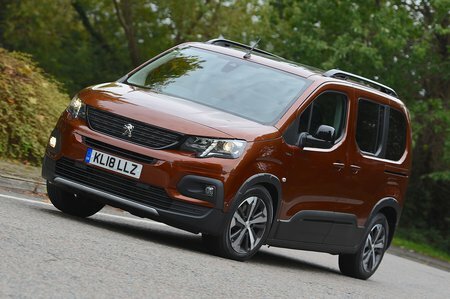 In addition, while there is a commercial vehicle variant (otherwise known as a van), the Rifter was designed from the ground up to carry people and not just cargo – much like the latest Citroën Berlingo and Vauxhall Combo Life with which it shares its underpinnings. Practical touches include sliding rear doors, roof bars, back seats that fold easily and a large rear tailgate with virtually no loading lip. There’s even the option of a stretched version with seven seats. To further the Rifter’s hopes of attracting SUV buyers, it's available with the same sort of interior luxuries as these cars. 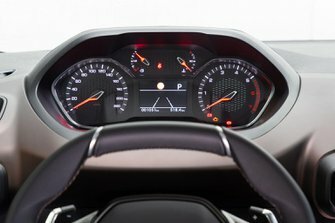 Plus, it gets more sophisticated driver aids than its predecessor, including automatic emergency braking and adaptive cruise control. In this review we'll look at everything from what the Rifter is like to drive, to how family-friendly it is and which versions make most sense. Then, if you do decide it's the car for you, take a look at our new car buying section to see how much you could save without the hassle of haggling.